These Yamaha Rhino HID conversion kits allow you to replace your dull factory headlights with ease because of TRUE PLUG-N-PLAY components made specifically to fit your machine. No splicing, cutting, gluing, modifying nor changing out headlight assemblies to make these kits work. Ready to install right out of the box and very user friendly! 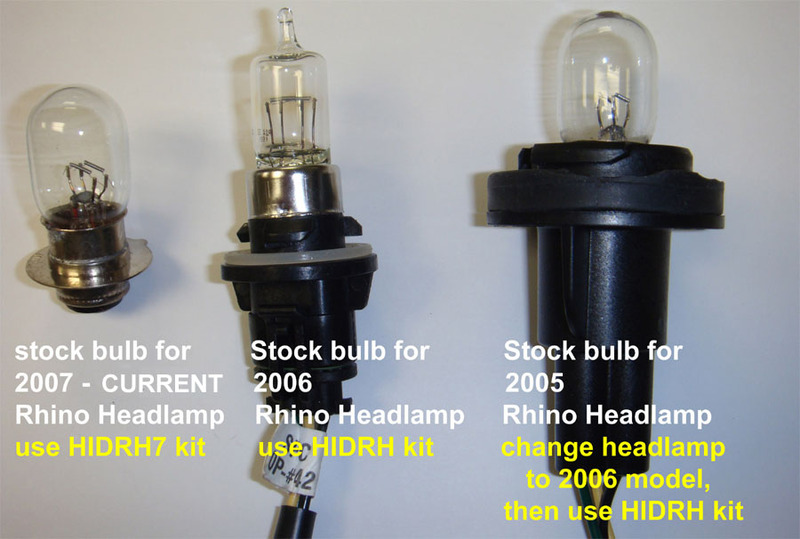 Yamaha Rhino (2006); See bulb chart below to confirm correct fitment.